Google Forms is one of the easiest ways to collect data from your readers. But, it isn’t the best one for WordPress users. Because you will be embedding the external code for Google forms. And each time, the form has to load from the Google Server. So, this will cause an unwanted additional page load time. If you are very much concerned with the speed of your website for SEO, then you wouldn’t be preferring Google Forms for WordPress. Also, the next issue that you come across Google Forms is that they don’t provide any support for Payment Integration. File Uploads is another popular feature at Google Forms. However, the documents you upload through Google Forms will get uploaded to Google Drive and not to your own WordPress website. Considering all these factors, you need to find out the best Google Forms alternative in WordPress. I have found one powerful form plugin which can solve all the above problems. It is WPForms. Note: This is a sponsored post. However, the contents of this article are completely based on my opinion. If you wish to have a sponsored post for your product/service then do check my advertising packages. 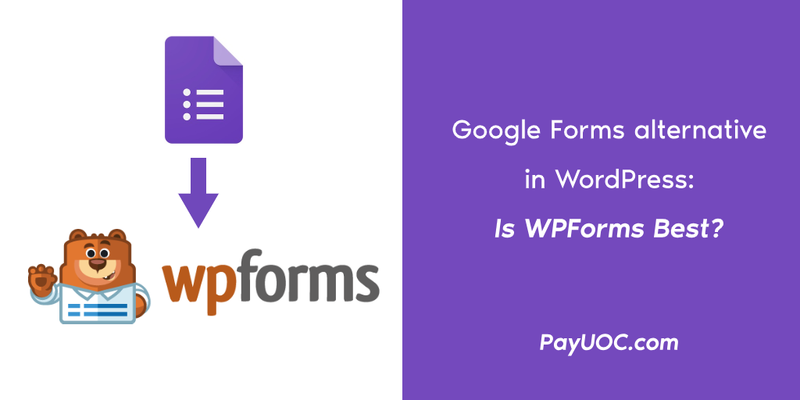 Why WPForms is the best alternative for Google Forms? 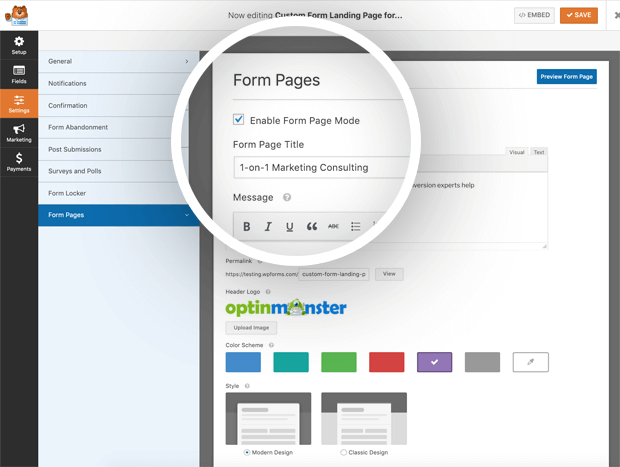 WPForms is one of the most powerful Form plugins in WordPress. It is already Gutenberg ready and so you don’t need to worry about its compatibility. And so you can create your own form with this drag and drop form builder. I have already covered an in-depth article on WPForms. If you haven’t read my WPForms review earlier, then do check it. WPForms has got some pre built form templates. 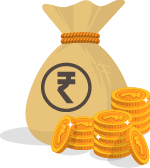 You can easily create donation forms, payment forms, newsletter signup forms, user registration forms etc. So, every time you don’t need to start from scratch to create online forms. 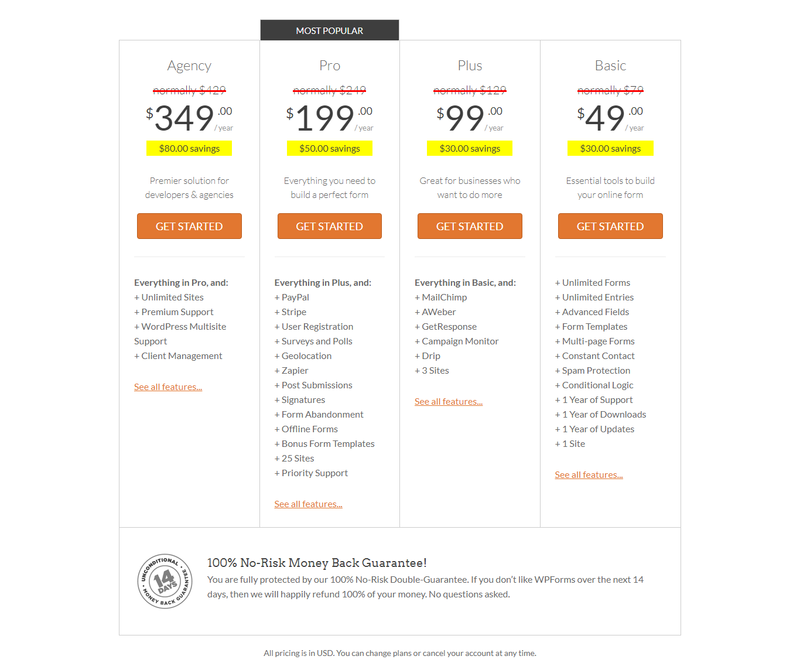 Premium WPForms memberships allow you to use add-ons. There are so many add-ons available for WPForms and one among them is Form Pages Addon. So what does this Form Pages Addon offer? There are a few interesting features of this addon. Let’s see them one by one. With the race to get more conversions from our visitors, you often create so many offers and discounts. That often distracts your readers and diverts them. So, ultimately you fail to convert them. 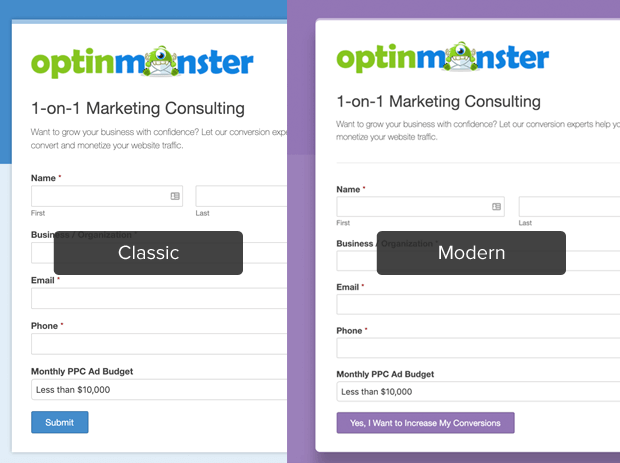 If you guess your readers are getting distracted then, you can turn on this Form Pages Addon and start creating Landing Pages. Another coolest feature which you won’t see in the WPForms Lite version (the free version of WPForms) is that you can choose color Schemes. With these cool Color Schemes, you can create attractive Forms based on your user. With the WPForms Lite version or Google Forms, you will never be able to use your own logo for Branding. But, with Form Pages Addon, WPForms will allow you to add your own logo. Do you like to see an example? Here is a form created with WPForms after activating Forms Addon. Do you like WPForms and wish to purchase a membership? Here is the pricing for various memberships. The basic membership starts at $49. However, watchout for the discounts and WPForms coupon codes available on this page. If you could find one, then you could save a lot of money while purchasing. With its ability to create forms efficiently and easily, there is no doubt that WPForms is the best alternative for Google Forms in WordPress. Have you ever tried this Form Pages Addon? If so, I will be looking forward to seeing your opinions in the comments section. Thanks for the nice guidance. Nice write up Nirmal. I have been seeing Google forms popping up left and right, and going to look more into using them. I have been using Contact Form 7 for years as it continues to still do the trick. I would like more options though.